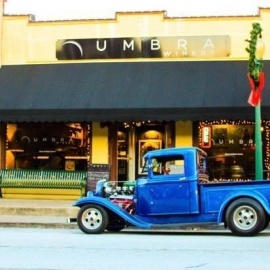 Welcome to Umbra Winery, our tasting room in Grapevine Texas. 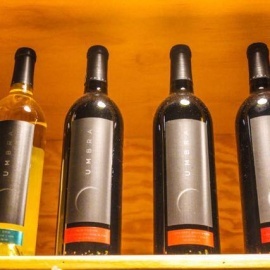 Owner John Wilson, a chemical engineer by education, purchased the winery in 2013 and has set about creating a new vision, one that blends the art of wine making with the science of it. The Umbra logo was birthed from that concept. The tasting room has a distinctive European flair, influenced by Wilson's exposure to Italy through his wife Debbie who grew up in Europe. Wine is a way of life there, something that brings friends and family together on a daily basis. We hope we can bring a taste of that to you here at Umbra. Cheers!